The Acura world is abuzz with excitement! Already in production for a slated August release is the 2015 Acura TLX, Acura’s new performance luxury sedan. Just because this vehicle hasn’t hit the showroom floor yet doesn’t mean Acura lovers should be sitting idly by. On the contrary, we think this is the perfect time to consider the Acura Advantage Program. To that end, Acura has made it beneficial for Acura and would-be Acura lovers to get in on the ground floor with the Acura Advantage Program. The Acura Advantage Program is a pre-sale program offering introductory lease and/or finance offers from Acura Financial services. TLX customers have the opportunity to take advantage of introductory lease and finance offers from Acura Financial Services, including a monthly lease payment of $299 for the 2.4-liter model and $349 for the 3.5-liter model for 36 months with a $2,499 down payment – or APR financing of 1.9% for 24-36 months or 2.9% for 37-60 months. New clients and existing owners of a 2004 or newer Acura vehicle who commit with a Buyer’s Order from July 7, 2014 to September 2, 2014, and take delivery by October 31, 2014, are eligible for a $500 Personalization Allowance for Acura Genuine Accessories (at MSRP), with which they are able to choose from a list of 2015 TLX Accessories or a special Acura Accessory Value Package associated with the program. Current Acura lessees may be eligible for a lease extension from Acura Financial Services of up to three months to allow for the arrival of an advance-purchased TLX. You can get even more details about the program on the Tischer Acura website, and of course we encourage you to do so. Because the 2015 TLX is still in production, there are few live photographs of this model. However, for those considering the TLX, there’s an awesome online e-brochure to peruse. There’s also a TLX-dedicated site on the Acura website that showcases interactive displays about some of the innovative all-new TLX features, such as the electric gear selector, On Demand Multi-Use Display™, and even some of the new TLX accessories. 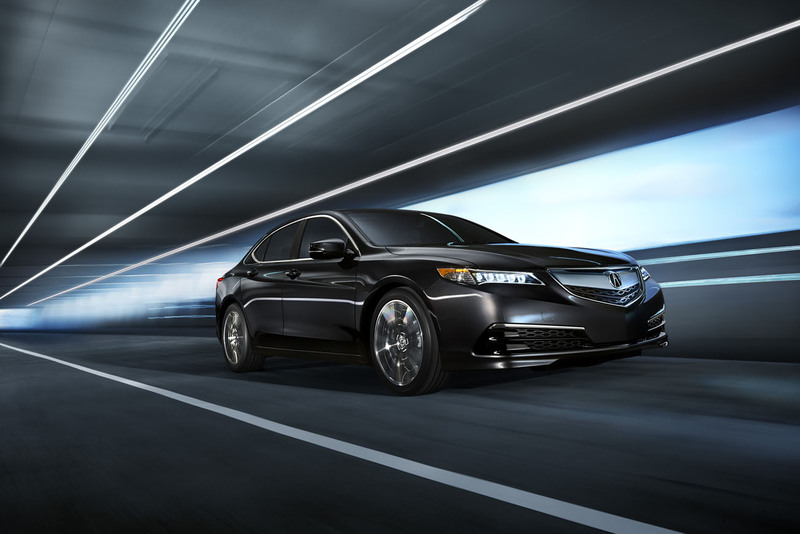 We think the 2015 Acura TLX will truly be a luxury sedan that will both set a standard in its segment and make Acura drivers and enthusiasts determined to own this car. To that end, we encourage you to consider the Acura Advantage program to not only put you in the Acura of your dreams, but to help you to do so affordably. As the saying goes, the early bird gets the worm, or, in this case, a brand-spanking-new TLX!